The United States has 59 national parks operated by the National Parks Service, and 14 of these are designated as World Heritage Sites. 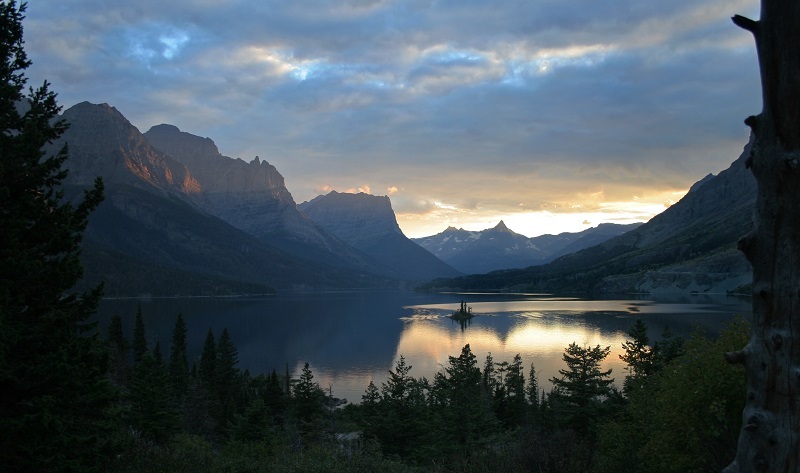 The national parks cover a total area of 51.9 million acres, bigger than the state of Nebraska. Each park has a distinct characteristic and significant features all worthy of your glimpse. Here is a quick list of national parks you can’t pass up on in your lifetime. The Grand Canyon of Arizona is impressive – in so many aspects. It is a 277-mile massive network of chasm, terraces, pinnacles, mesas, and buttes. The nature-sculpted canyon, geologic temples and rock faces took two billion years to take shape. The varied landscape gives life to diverse wildlife which includes birds of prey and large mammals. The Grand Canyon is home to the bald eagle, golden eagle, California condor, Peregrine falcon, bighorn sheep, coyote, mountain lion and elk. 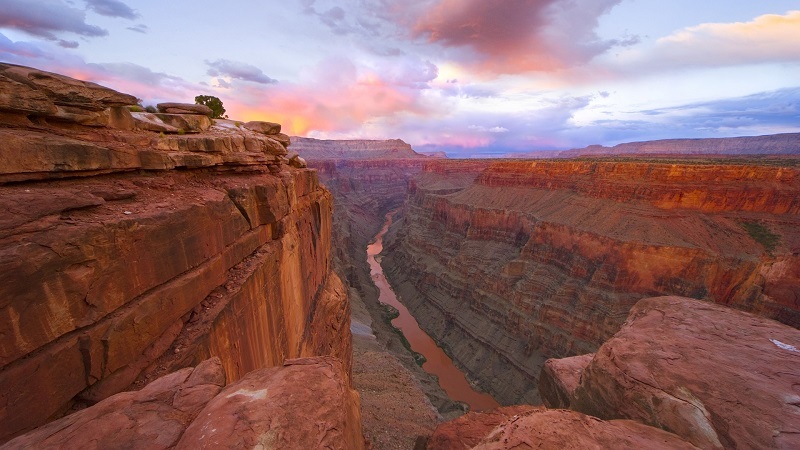 The grandeur of the Grand Canyon is not only of its stunning landscape and formations. It is about the grand story that every ancient rock layer in the canyon tells. The fossils speak of the Earth before there was life on it and how life evolved; it tells of the mountains and oceans that existed on the very site of the canyon before they disappeared. Scientists claim that the national park tells half of the history of the Earth. A visitor can enjoy day hiking through many interesting trails, such as the Bright Angel or the North Kaibab trails. The Inner Canyon provides a quiet and meditative encounter with nature. More exhilarating options are cycling and white water rafting. Take an interesting mule ride or view the canyon from above aboard a helicopter. Ranger programs are free for those who want to learn about geology and moon walks. Only 3 hours away from Grand Canyon is Antelope Canyon, which is the most photographed slot canyon in the world—so be sure to drop by there on your way there or back. Glacier National Park is located in Flathead, Montana. This national park deserves a thorough exploration rather than a cursory drive through along Going-to-the-Sun Road. Adventurers will find the glacier-covered mountain peaks, lush green trails, diverse flora and fauna, glacier-carved valleys, breathtaking waterfalls and crystal streams a paradise, to say the least. Grizzlies find the park a paradise and ideal residence, too, so be properly informed when planning to engage in deep-forest activities. Visitors can hike trails, scale the peaks, fish, cruise, kayak, and row. Yellowstone National Park is America’s first national park, declared so in 1807. It spans an area of 2,219,748 acres in Wyoming with some parts extending to Montana and Idaho. The stunning geography of the park still evokes the same amazement it did when it was found by the earliest explorers. Old Faithful, a cone geyser, greets a spectator with its jolly upward gush of water. The Grand Canyon of Yellowstone is a V-shaped canyon shaped and reddened by a violent erupting caldera 600,000 years ago. It offers the best vantage point to view magnificent falls in Yellowstone. 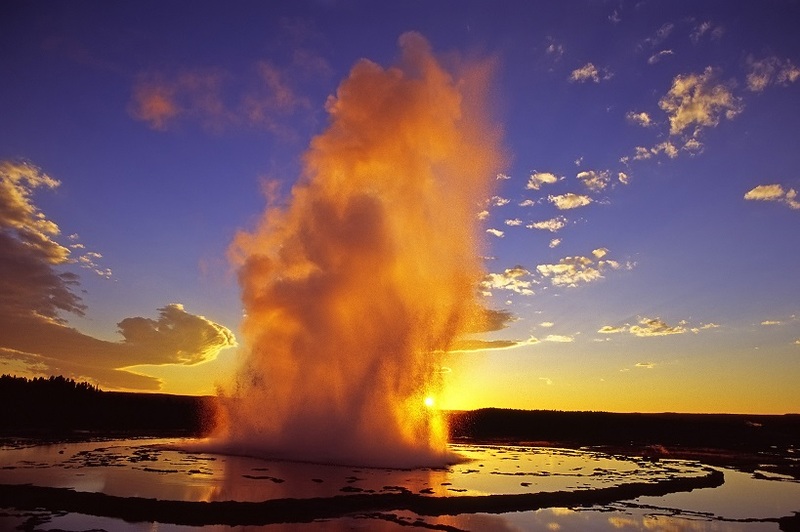 The majority of geysers found in the world are in Yellowstone – they steam, they simmer and hiss. Join day hikes or cycle along scenic trails, fish for trout, or ski in winter. Wildlife teems in the park and travelers can often see elk herds, bighorn sheep, bison, moose, grizzly and black bears, and river otters. 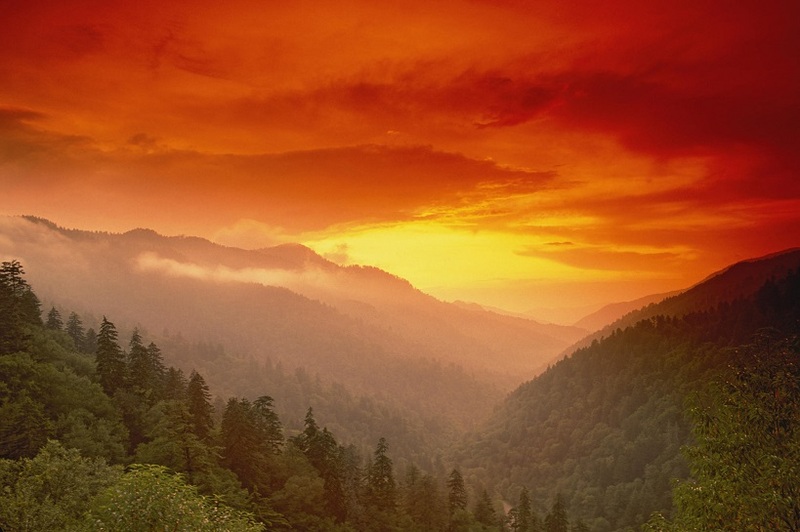 This 520,000-acre land America’s most frequented national park, the Great Smoky Mountains National Park. It is a World Heritage Site located on the Blue Ridge Mountains and is a land jointly contributed by North Carolina and Tennessee to the federal government. The park has over 800 miles of trails crammed with ancient hemlocks, hickory, fir, dogwood, rhododendrons and mountain laurels. Black bears share this habitat with bobcats and white-tailed deer. Falcons spread their wings over the mountains, while wild turkeys, juncos and grouse are well-known residents that add to the chirpy sounds heard in the forests. Traverse the Appalachian Trail from east to west for that ultimate hike. A strenuous trek to Clingmans Dome will reward a visitor with a spectacular 360-degree view of hazy Great Smoky. 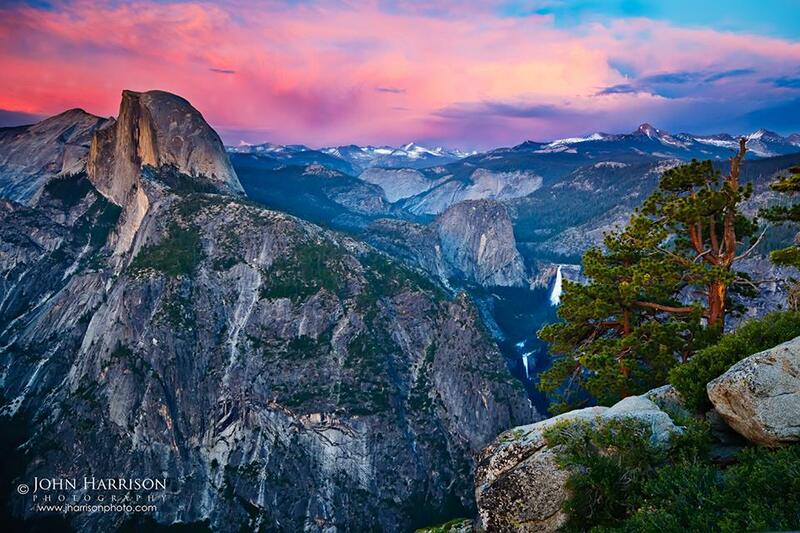 California has the most number of national parks in the US. There are nine and one of these is Yosemite National Park located in the counties of Madera, Tuolumne and Mariposa spanning an area of 761,579 acres. Its raw splendor deserves its nickname, “temple of nature.” This temple will greet you with nearly 500 ancient giant towers at the entrance, the 30-century old giant sequoia trees. These primeval groves share the landscape with granite cliffs and lofty waterfalls. Take a steep trail trek to Mist Trail and climb rocky precipices for rewarding views. Bikers, skiers, and wildlife seekers take a field day in Yosemite’s grand geographic structures and diverse flora and fauna. The giant trees crisscross paths with lavender lupines, wild irises and delicate white wild flowers. The meadows are playgrounds to mule deer, coyotes, black bears, raccoons, skunks and foxes. Take a day off with the giants and feel how great it is to be small in Yosemite. Washington has 3 National Park Service-managed national parks, and one of these is Olympic National Park in the Olympic Peninsula, Port Angeles. It occupies an area of nearly a million acres, bounded three climactic zones. It is often referred to a 3-parks-in-1 because of the glaciated Olympic Mountains and sub-alpine meadows on one side, rushing rivers on verdant temperate valleys and forests on the other, and the rugged Pacific shores on the outer arc. This wilderness and UNESCO-designated Biosphere Reserve is home to wild flora and fauna as varied as its three climates. Visitors can soak in hot springs, walk through sodden rainforest floor, be thrilled and chilled in the 200-century old alpine glaciers, and watch the sun’s rising and setting from the parks uninterrupted 73-mile Pacific coast. 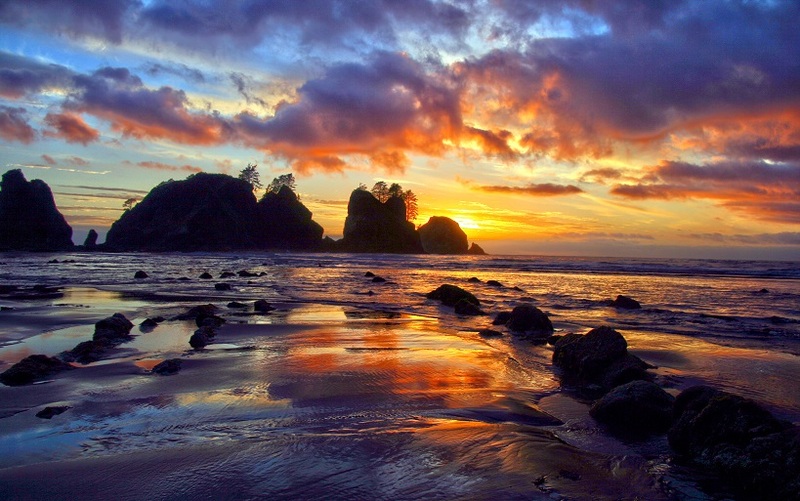 Climate variety is the name of the game in Olympic National Park. If the rainforests is too wet for comfort, hit the drier coastline. If the glacier-fed lakes chill too deep to the bones, warm up in the hot springs. Some places do have everything. Rocky Mountain National Park is sure to lure you with its alpine lakes, snowcapped rugged peaks, and upright aspen trees. Hike the Chasm Lake Trail and tour the park riding llamas, mules, ponies or horses. Rocky Mountains National Park is located in Estes Park, Colorado with an area of 265,600 acres. You can pitch your tent at its camp ground and enjoy the scenery of lofty peaks, raging waterfalls, blue lakes, granite cliffs, flower-filled meadows and pine scented air. Feel at home under the starts in the home of elks, moose, deer, porcupines and coyotes. 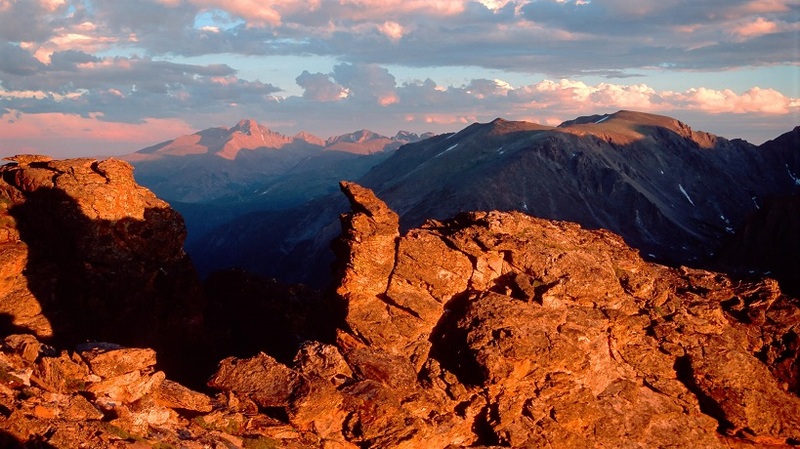 Check out the top 10 things to do at Rocky Mountain National Park. 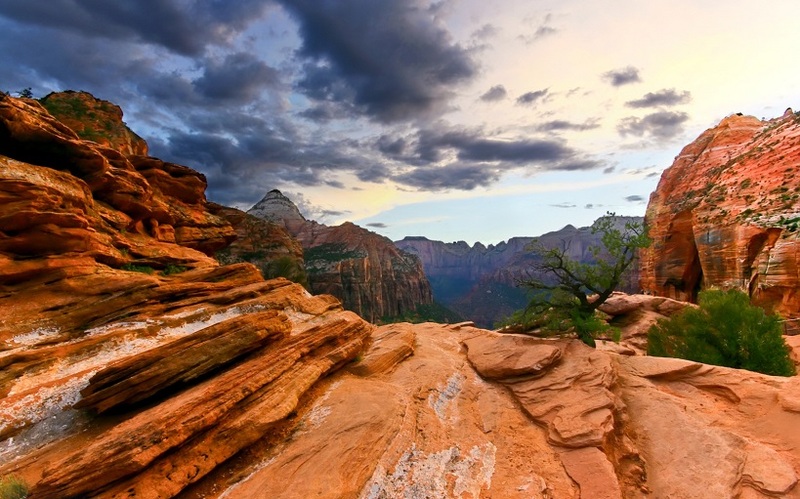 Utah has 5 national parks, and Zion is one of those. Zion National Park has 146,560 acres of gargantuan sandstone monoliths carved through time. Zion Canyon is a system of chasms 15 miles long and has an average drop of half a mile. Hikers, cyclists and climbers will revel on the variety of terrain and geologic formations. Deep river canyons snake through rock gardens and rock towers. The nature-carved Weeping Rock and Angel’s Landing are not only breath-taking; their sandstone cliffs are a climber’s adventure. 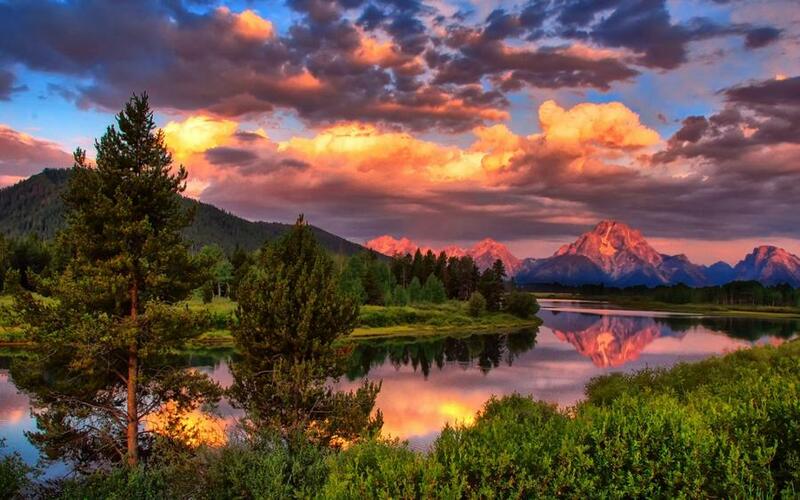 This is Wyoming’s 310,000-acre national park including the looming purplish peaks of the Teton Range. A ride along mountain trails will afford you good views of the Snake River, Jenny Lake and Hidden Falls. Breathe the fresh air from quivering aspens and meander into open meadows that lead to alpine lakes. Herds of bighorn sheep clamber the rocky cliffs, while elks and moose cows graze alongside trails. You can camp at Signal Mountain and splash at the nearby Jackson Lake beach. 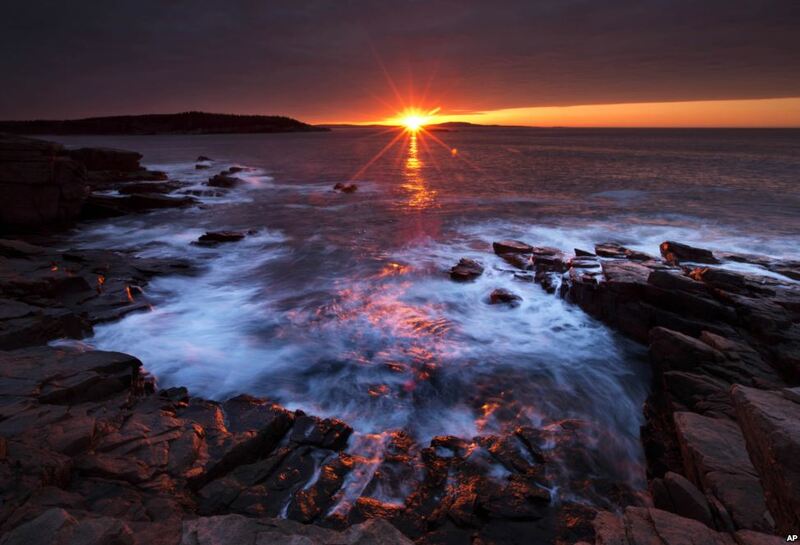 Granite mountain ranges and the sea dominate Acadia National Park in Maine. Craggy cliffs sculpted by glaciers 180 centuries ago provide character to the sheer cliffs. Scenic trails are regularly plied by cyclists, hikers and equestrians. This 47,000-acre park is home to deciduous firs, rock polypody ferns, bats, raccoons, weasels, salamanders, marine mammals, ocean birds and sea creatures. National parks are our way of learning about the creatures that live in a particular habitat. The creatures also tell us what the habitat that supports life is like. A national park is created to preserve that life-supporting environment. When the world eventually goes in disarray, a national park will show us what the world was like before. Hit it to the national park nearest you, it might show you a world so unknown to you.